What is moussaka doing in the ultra-basic world of Bloke in the Kitchen? Aren’t the recipes here supposed to be easy? Well, yes. But if you think moussaka is difficult just because it comes from Greece and it sounds exotic, that’s like believing the Greeks are better at football and cricket than the English are, just because they’re foreign. Put it this way: are you proud of your ability to make mashed potatoes or do you think anyone can do it? I assure you there are millions of people outside the UK who have never done it and would think you were very clever if you did it for them. 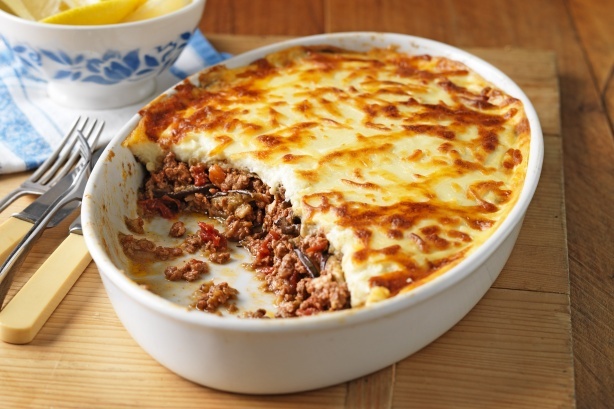 So, what is moussaka and why is it here? It’s quick (30 minutes to one hour), easy and tasty. It’s a way of using minced lamb or beef, just like Shepherds pie is (and you will need the same sort of baking dish), but instead of the mashed potato, it features aubergines. Again, the modest British cook goes “Ooooh!” in a mocking way, because aubergine isn’t one of our common vegetables and we don’t know what to do with it. In this case it is in the dish to provide some built-in vegetable, that’s all. The aubergine (also called eggplant) is an unusual one to look at, being smooth and shiny, and when you pick one up it’s light and spongy. Fear not, gentlemen: just as some dark-eyed local maiden in Corfu can be bowled over by your natural charm and masculinity, so this slinky foreign food will co-operate if you do it right. And unlike your new female friend, you don’t even need to peel it. 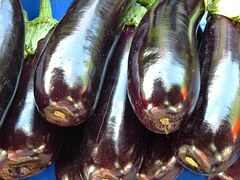 Aubergines. What’s an exotic girl like you doing in a place like this? And then there’s Bechamel sauce, which sounds fancy but is no more difficult than gravy. Butter, flour and milk plus maybe some extra flavor – that’s all there is to it. So, are you ready to tackle this strange new task? Do you believe you can master it? 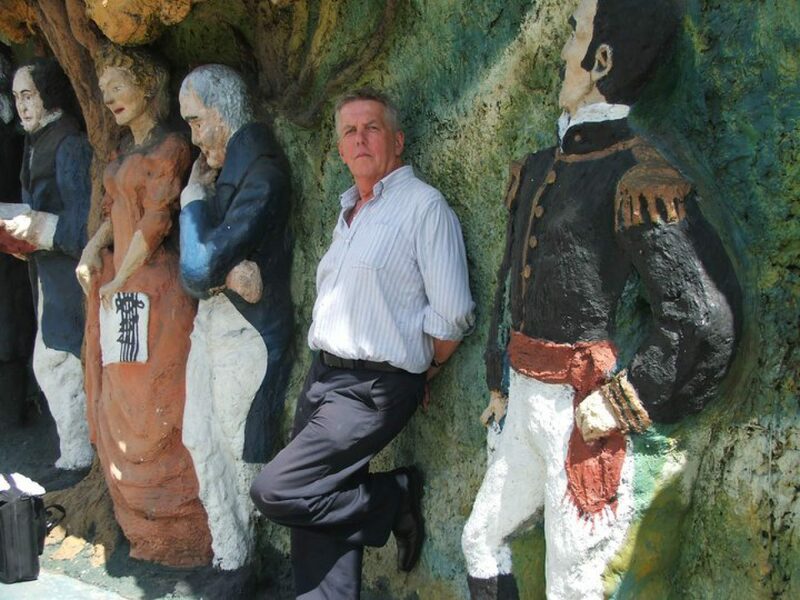 Have a large swig of that Chilean Merlot and let’s go. Chop and fry the onion and garlic, just until the onion is translucent. Add the tomatoes. Half a six-inch can should be enough. You don’t want it too wet. Add a splash of red wine, a dash of Worcestershire sauce, some celery salt or whatever your trademark is and simmer for a minute or two. That’s your meat done. Take it off the stove and put it to one side. Slice them lengthways, about a quarter of an inch thick. They don’t have much flavor but are very absorbent, so be careful with the oil. And don’t worry about the purple satin finish – it’s thin and edible – you won’t even notice it’s there. Lightly oil a griddle pan or frying pan and get it hot. Quickly cook the aubergine slices on both sides until they have that chargrilled, slightly burnt look. Set them aside while you get on with the sauce. Melt some butter in a saucepan and stir in a couple of tablespoons of plain flour. Stir it well until it’s smooth, then add a splash of milk. Keep it on a low heat and stir with a wooden spoon, adding more milk if it’s too thick, until you have enough creamy sauce to coat the size of your baking dish. Put the oven on a high heat. Place the aubergines in the baking dish and cover them with the mince and tomato mixture. Sprinkle on some Parmesan to give it a bit of bite. Top it with the béchamel sauce and put it into the oven. It’s already pretty much cooked, so you can give it half an hour and get the top looking singed and inviting or just get it hot and then serve. If you like, knock up a quick salad of fresh tomatoes and cucumber, both cut into chunks, and drizzle on some olive oil and balsamic vinegar. That’s it. You’re a cook who can do fancy foreign stuff.